Berven, 77, retires as one of the state’s most accomplished coaches, posting a 454-54-1 career record in dual matches along with five state team championships and seven runner-up finishes. He led his team to its 41st conference championship this spring and retires having won his last 121 Fox Valley Association dual matches. In all, Neenah has had just two head boys tennis coaches since 1930 as Ivy Williams coached 36 seasons before Berven took over in 1971 (there were four seasons of an interim coach from 1943-46 when Williams served in the Air Force). The Rockets have won 10 state titles in school history and Berven and Williams combined for 65 conference championships. Berven came to Neenah as a 23-year-old social studies teacher in 1964, teaching courses in psychology, modern problems and U.S. history. He has coached in Neenah since 1965 when he began a 16-year run as junior varsity boys basketball coach. He was named junior varsity boys tennis coach in 1967 and coached four seasons before taking over the varsity program. In addition, Berven has run the Neenah Park and Recreation summer program for the past 51 years with over 300,000 participants. Berven’s 1993 squad achieved the only perfect score in the history of the WIAA tournament under its old format with its top two singles and doubles teams both playing each other in the state finals. That 1993 squad was the third of five consecutive state championship teams for the Rockets. Neenah also appeared in the state team tournament in 16 of the 24 years of the current format, marking the second-most appearances. Berven coached 10 individual state champions and took players to state every year during his coaching career. Berven is a member of the Neenah Joint School District, Wisconsin High School Tennis Coaches Association, Fox Valley Tennis, Luther College and Austin (Minn.) High School Halls of Fame. 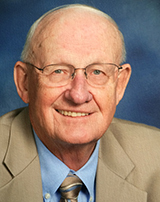 “For the past 55 years I have been blessed to work with Neenah High School student-athletes. I have thoroughly enjoyed every year along with the special relationships developed with these dedicated athletes, coaches, parents and administrators. After recently completing my 48th varsity boys season, I have decided to step down and retire effective immediately. Being an advocate of Ecclesiastes 3:11, “to everything there is a season, a time for every purpose under heaven,” now is the time to hand over my clipboard and tennis balls to someone else. “A huge thank you to my outstanding assistants of many years – Judd Stevenson and Jeff Lucas – and the young men I have so enjoyed coaching. Also, special thanks to the unique and supportive Neenah tennis family, which has been an enduring component of our strong tennis tradition. Most importantly, heartfelt gratitude to my late soulmate and wife, Donna, and our three children who were steadfast in their love and encouragement.